More American homes could be powered by the earth's natural underground heat with a new, nontoxic and potentially recyclable liquid that is expected to use half as much water as other fluids used to tap into otherwise unreachable geothermal hot spots. What's the amount of energy needed to create the amin? How much of invested energy is returned? EIoER ratio? How is the water or fluid passing if the cracks made are filled with the gel? Does the gel have far better heat conduction? What's happening with the CO2 released by regeneration? The question that comes to mind is: what types of products are craeted when this stuff degrades? What happens if an 'ancient geothermal site' comes in contact with groundwater? And most importantly: What is Plan B if something goes wrong? 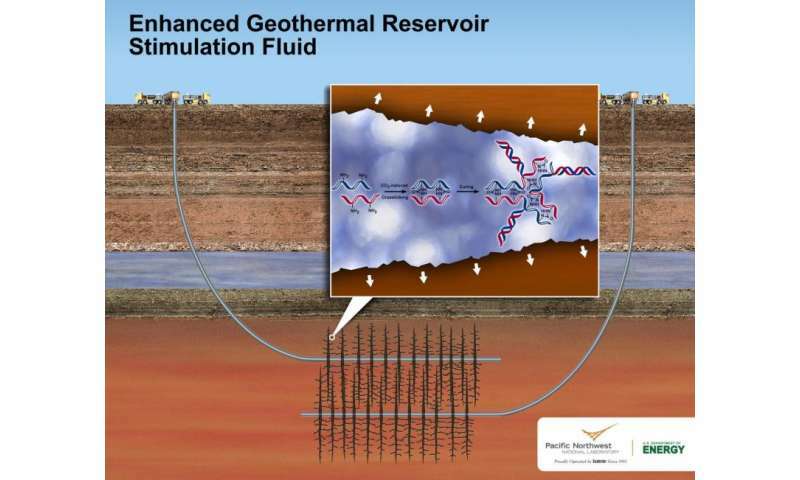 Geothermal systems cools underground to extract heat, which after some years is exhausted no more available, even using fracking, like for petroleum and gaz !! The only good solution is to put again solar heat underground in summer to recover this heat in winter, working all the year even several months without sun !! This works fine at www.dlsc.ca since 2007 using the sun summer heat to heati 52 homes without any fracking storing heat in impermeable ground at only 30m depth drilling !! It is incredible that this simple solution to heat cheaply and perpetually is not known and not used, with no dangerous fracking recycling old exhausted petroleum drilling ! !